Most Affordable Drain Services At Perimeter Drainage Victoria! Commercial Drains, Perimeter Drainage Installation, Drain Service, Drain Repair, Maintenance And More! Drain Services You Can Trust, And Afford! Perimeter Drainage Victoria employs only the very best perimeter drain system installers and drain cleaners around so that we can keep our standard of excellent service elevated and ensure that every single one of our clients receives the best possible all around experience. We are pleased to say that we specialize not only in providing Victoria, B.C with drain services and system installations to residential homes and business's, but also to various companies and institutions of all kinds. Any service that we can provide to you at your home can also be done at your place of business. Obviously this includes are top quality, fully custom built perimeter drainage systems. 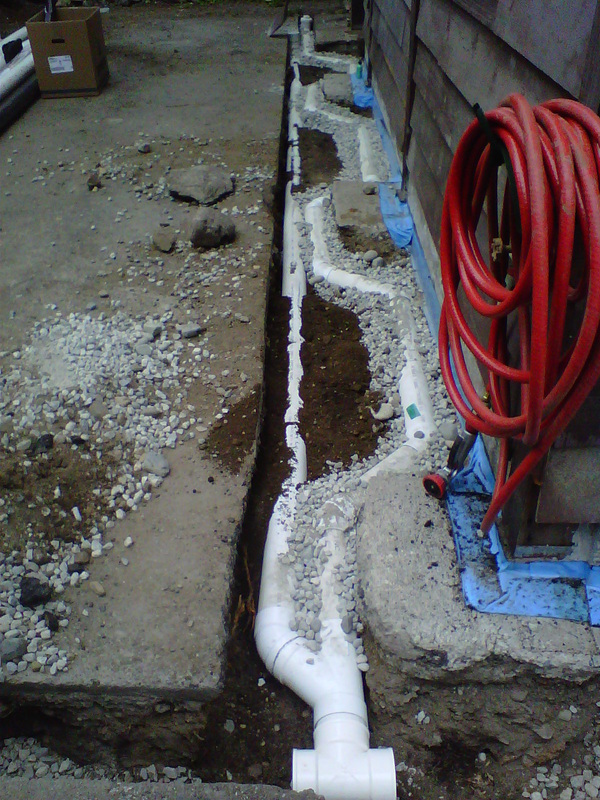 Our extremely talented team of highly skilled individuals are able to design a custom drain system for you from the ground up. From conception to construction, we are able to handle every aspect of the project until you are left with a fully functioning perimeter drainage system. Our workers begin by designing a plan for your system that they can easily follow during construction to make sure everything ends up being built exactly the way it was intended and with no mistakes. Having a set plan to follow is a crucial part of the process that helps it go smoothly. After the plans have been conceptualized and created, our dedicated workers will go to work on completing a build and performing the actual drain installation. They have experience performing drain installs on business properties of every shape and size, so regardless of whether your company property is a small shop or a large complex, we have the knowledge and training necessary to get the job done correctly. We aim to be the number one drainage company in Victoria, and we understand that a large part of that is not only offering the best drainage services and hiring the best employees, but also offering the best prices. For that reason, Perimeter Drainage Victoria will always offer you the absolute lowest prices possible for our valuable services, guaranteed. In addition to our drain installation services, we can also offer you other drain services in Victoria such as cleaning and maintenance. It is extremely important to make sure that your drainage system is always functioning properly and to its full potential. If your perimeter drain system has debris inside of it, or if it has become physically damaged, it is best to deal with the issue as quickly as possible to avoid any potential flooding troubles. Our team can quickly unclog your drain system to get it back to normal functioning, or provide you with replacement parts and maintenance services if a section of your draining system has become damaged. No matter the kind of drain services you require for your business, Perimeter Drainage Victoria is the best drainage company for the job. Contact us today to get started with a free quote for any of our services relating to commercial drains. Commercial Drains Cleaned By Professional Drain Cleaners In Victoria BC! Perimeter Drainage Victoria Does The Job Right!